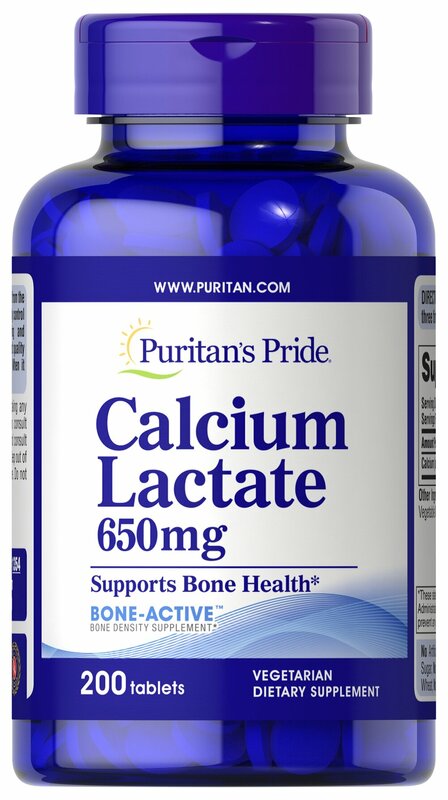 Provides 650 mg (10 grains) of Calcium Lactate per serving! Calcium is well-known for contributing to strong, healthy bones. **In addition to promoting skeletal health, Calcium also nourishes the heart, muscles, and nerves. ** Calcium has also been shown to assist with normal blood clotting. ** Our Calcium Lactate tablets provide you with 650 mg, which is equivalent to 10 grains. A grain is a unit of measurement that historically, in Europe, was based upon the mass of the wheat or barley grain. ++Adequate calcium throughout life, as part of a well-balanced diet, may reduce the risk of osteoporosis.